Snow White is a mesmerizing beauty. 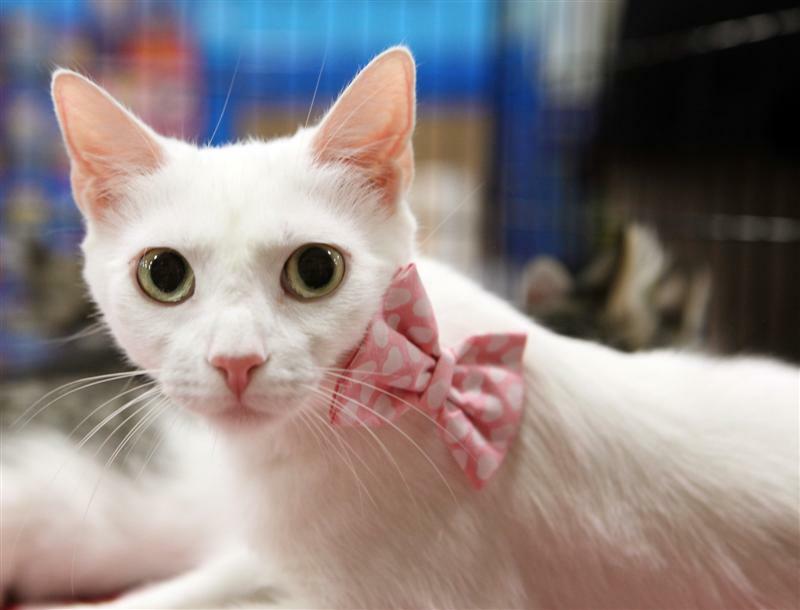 She is a petite glossy white kitty with bright gold eyes. She's not a fan of dogs, but loves people and will get along with most kitties.